From art student to artist, designer to chef to restaurateur, Karen Carrier has been creating in different mediums for over 25 years. An energetic and vivacious woman, Carrier was born and raised in Memphis. Her first love was painting and glasswork and that, in a roundabout way, is where she got her start in the culinary world. Apprenticing and studying under the brilliant artist, Dorothy Sturm, Carrier spent her early years at The Memphis Academy of Art gaining as much knowledge as Ms. Sturm would bestow. After graduating with a Bachelor of Fine Arts from The Memphis Academy of Art and receiving a scholarship to Hunter College for her MFA in painting Carrier lit out to New York City in 1980. In an effort to support her self she enrolled in The New York Cooking School for a six-week intensive food course. Karen’s culinary journey in New York City during the 1980’s charged her creative juices, and she eventually gave up her scholarship to Hunter College and chose to continue on her culinary journey. In 1996 Carrier moved out of her 1886 Victorian home and transformed it into Cielo, a supper club set in a grand old Victorian home. She transformed the home into a campy wonderland worthy of anything ever imagined by Lewis Carroll. In 2007 Carrier transformed Cielo to The Mollie Fontaine Lounge. The crown jewel in Carrier’s growing group of eateries is the glorious quirky Beauty Shop Restaurant, which opened in 2002 in the former Atkins Beauty Salon where Priscilla Presley had her beehives coiffed. It was included in Gourmet’s Top 100 Restaurants in 2002 and Conde Nast Traveler’s Hot Tables of 2003. Her other restaurants include, Do Sushi + Noodles and The Mollie Fontaine Lounge. Carrier closed Do Sushi in 2012 and opened Bar- DKDC in 2013. Her ambitious cooking style pairs big Southern and International flavors in dishes like Grilled Tuna Pizzette, Pork & Peach, Watermelon & Wings and Voodoo Stew. It’s what Food & Wine described as “in your face” cooking and Memphis Magazine deemed “imaginative and full of surprises.” Carrier’s menus read like album covers, listing lighting, Art and Design credits, as well as thank you to spiritual advisers. 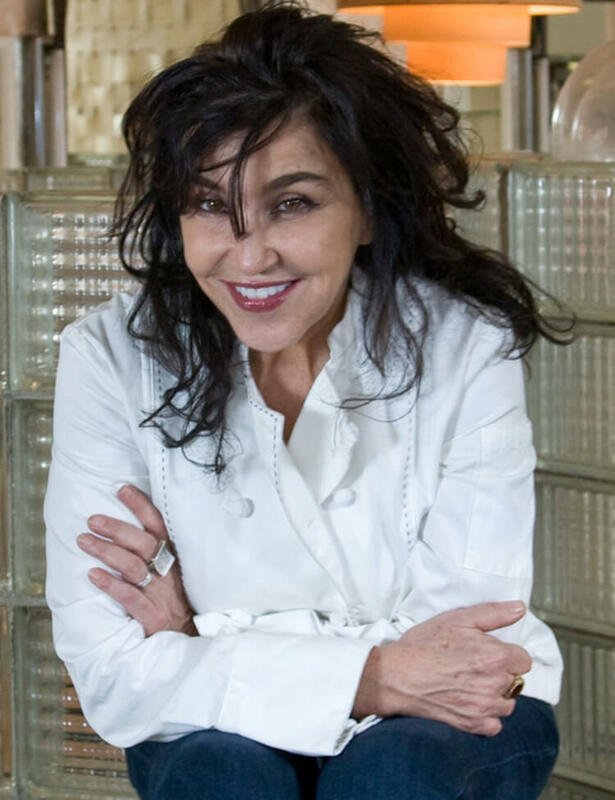 In the 25 years since her return to Memphis, Carrier has received numerous accolades in publications and television such as; Gourmet, The New York Times, Bon Appetit, Food and Wine, Travel and Leisure, Garden and Gun, National Geographic, Japanese Esquire, Southern Living, Taste, The Miami Herald, The Chicago Sun Times, Turner Network, CNN, The Food Network, Northwest in Flight Magazine, Delta in Flight Magazine, Memphis Magazine, Commercial Appeal and The Memphis Flyer. One of nine chefs from the South asked to contribute a chapter in the book ~Wild Abundance ~ Ritual, Revelry and Recipes of the South’s Finest Hunting Clubs ~ A Cookbook Anthology” distributed by Arts Memphis, Carrier spent time cooking in the Delta. Carrier has received many accolades such as induction into The Society of Entrepreneurs, The Restaurateur of the Year Award from The Memphis Restaurant Association and The Memphis College of Art Alumni of the Year award. Over the last 20 years St. Jude Children’s Hospital, Le Bonheur, March of Dimes, Friends for Life, Hope House, Share Our Strength, Ballet Memphis, The Memphis College of Art, Arts Memphis and numerous other non-profit organizations have felt Carrier’s generosity. “I came back from New York City to give Memphis something a little different, something to be proud of – I wanted to shake things up a bit.” It’s a role Karen relishes, and one she obviously has mastered.